Reebok Delta is the new brand mark for Reebok that represents a better life through fitness. Last month Reebok Malaysia unveiled its new brand mark the Reebok Delta symbol @ Reebok FitHub in Gurney Paragon, Penang. The branding change coincides with Reebok’s singular focus on fitness. I joined the media to Penang on a day trip for the launch event. It was quite fun and fruitful trip. Upon arrival in Penang we went to the Reebok FitHub in Gurney Paragon for the launch and also briefing about what are the up-coming Reebok activities and aspirations. The new Reebok Delta symbol represents the positive and transformative change that fitness can have on a person’s life. Delta has been a symbol of change and transformation. The Reebok Delta has three distinct parts each representing the changes - physical, mental and social – that occur when people push themselves beyond their perceived limits and embrace an active and challenging life. 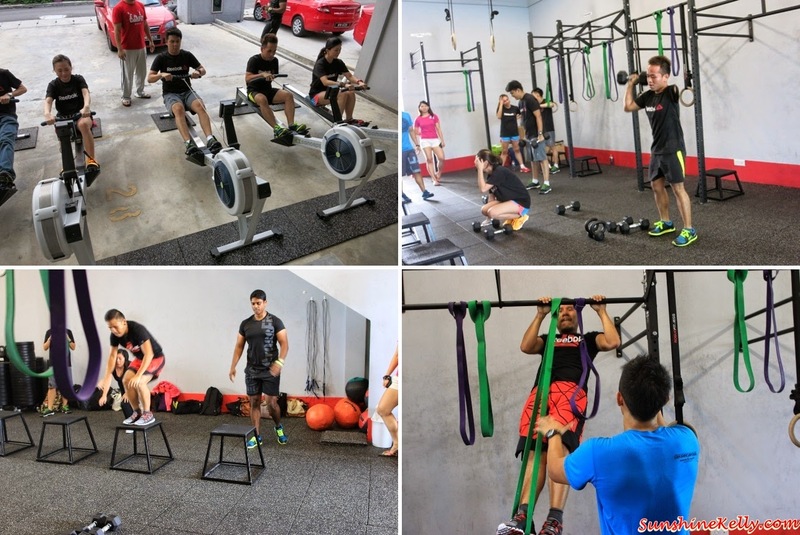 After the presentations, snacks, tour and media shopping at Reebok FitHub in Gurney Paragon; we went to depart to Crossfit 5833 in Georgetown Penang. 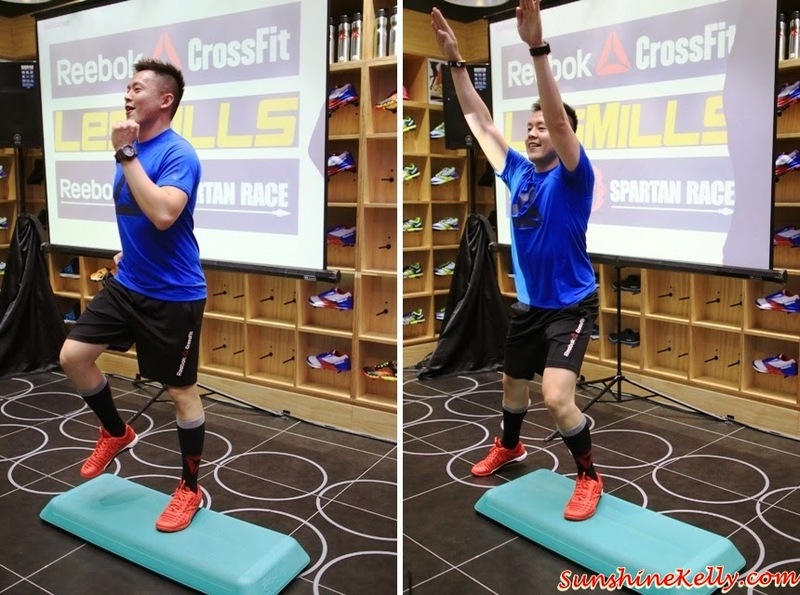 We had a real challenge during the CrossFit workout 250m row, 20 box jump burpees, 15 dumbell squad clean and 10 pull up. I tried my best but was not able to complete all the tasks. It was a good games. Reebok believes there are no shortcuts in fitness and that people have to earn the life that they want to live. Reebok celebrates the people who do the hard things -the things that are the easiest to avoid – and the people that are unafraid to embrace new experiences and challenges in the search for greater rewards. This fight against complacency and mediocrity is the foundation for Reebok’s approach to fitness. After the training and CrossFit challenge we walked over to Nona Bali Restaurant for an authentic balinese lunch. It’s just a few doors away. So that was the end of our activities in Penang, after lunch we headed back to KL again. It was a enjoyable trip especially with a bunch of sporting and friendly media friends and Reebok ambassadors. The new brand-mark will first appear this month on footwear and apparel across all fitness disciplines supported by Reebok including training, running, outdoor, yoga, dance and aerobics. Really impressed! Everything is very open and very clear explanation of issues. It contains truly information. Your website is very useful. Big buddy in the picture. Thanks for sharing. Looking forward to more! Looks like it was an enjoyable launch by Reebok. The crossfit challenge sure made you folks hungry.